EDINBURG — The Hidalgo County District Attorney’s Office filed criminal charges against retired Cameron County state District Judge Roberto “Robert” Garza who was arrested on a drunken driving charge late last year. 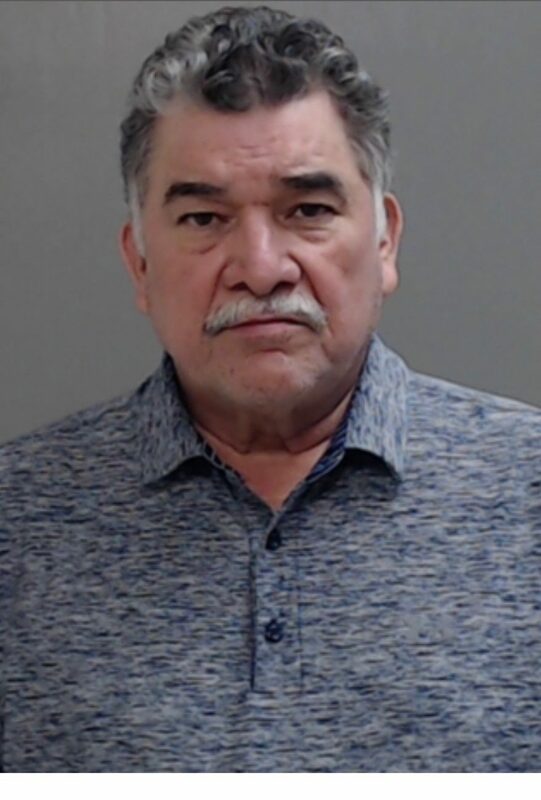 Garza, 65, is scheduled to appear before County Court-at-Law Judge Omar Maldonado on June 28 for his arraignment on the driving while intoxicated charge, a Class B misdemeanor, and an unlawful carrying of a weapon charge, a Class A misdemeanor. The charges, which were filed Tuesday, stem from his arrest by Palmview police following a traffic stop in the early morning hours of Dec. 19, 2018. Garza was unable to perform multiple standard field sobriety tests “due to his level of intoxication,” according to the probable cause affidavit, which notes he refused to provide a breath sample. The retired judge also had a handgun in the car’s glove compartment, according to the affidavit. Garza refused to pull over in Palmview and a pursuit ensued until he stopped in neighboring Peñitas, according to the affidavit, leading to an evading arrest or detention with a vehicle charge, a state jail felony. The DA’s Office has yet to present that evading case to a Hidalgo County grand jury, District Attorney Ricardo Rodriguez said Wednesday. The grand jury will be tasked with deciding whether there is sufficient evidence to indict Garza on that charge. At the time of his arrest Garza served as a visiting judge for the 5th Administrative Judicial Region, which covers 11 South Texas counties, however, he “elected to return to private practice” in early March, the region said. He retired as a state district judge in 2005 after 20 years on the bench, according to Brownsville Herald archives.